Thanks go to KMT for supplying the sample kit. The first question to ask is who are KMT? KMT stands for 'Kits Maquettes Tank' who are a Paris-based mail-order outfit founded by one of the guys behind Blast Models. They do their own very nice figures, dioramas accessories and conversions update sets, as well as other product lines. 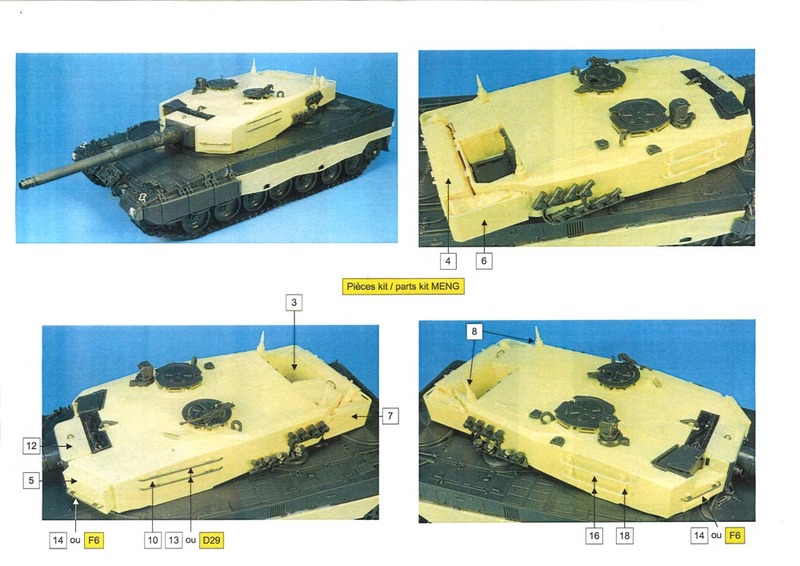 Finland have been using Leopard 2A4 since 2003. They replaced their T-55s then in service, and eventually T-72M1 was also replaced. 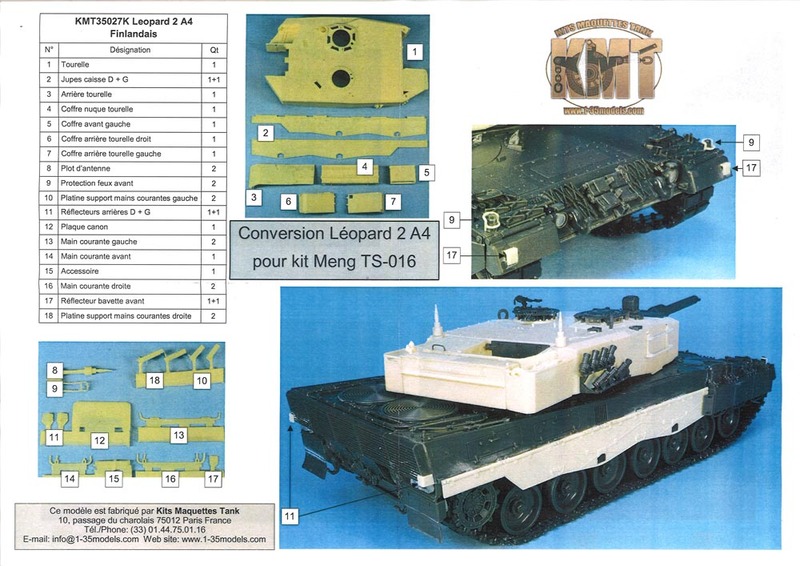 At first, all 127 Leopards were used virtually unmodified from their former Bundweswehr specs, apart from the radio fit and colour scheme. For most, the main attraction of the Finnish tank is the attractive black/light green/dark green splinter camouflage pattern. This becomes more attractive - I think - with the addition of winter white-wash which covers the lighter green. For this one reason, this conversion should prove quite popular. 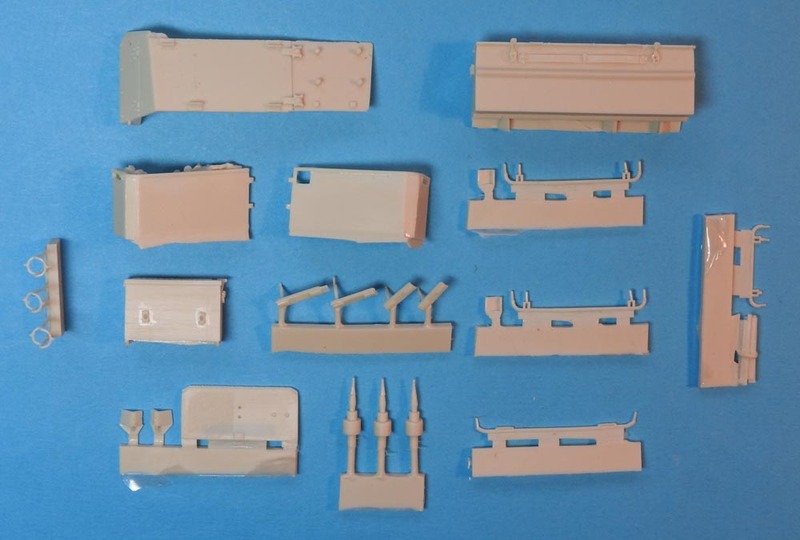 There are 18 different parts in this kit, all very crisply cast, with some of them duplicated (including some spares of some parts). These parts are listed in the instructions which are two sides of an A4 sheet in full colour. 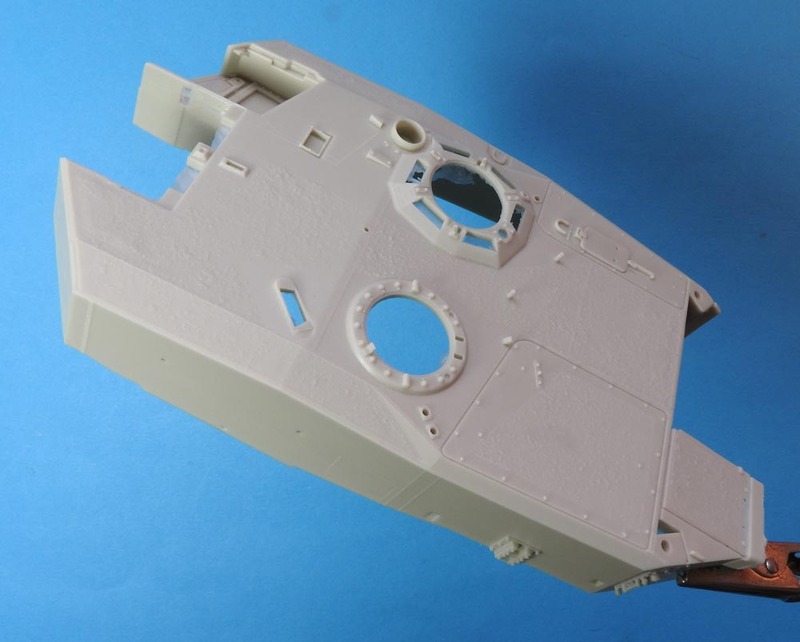 You may question why a complete turret casting is needed for this conversion. 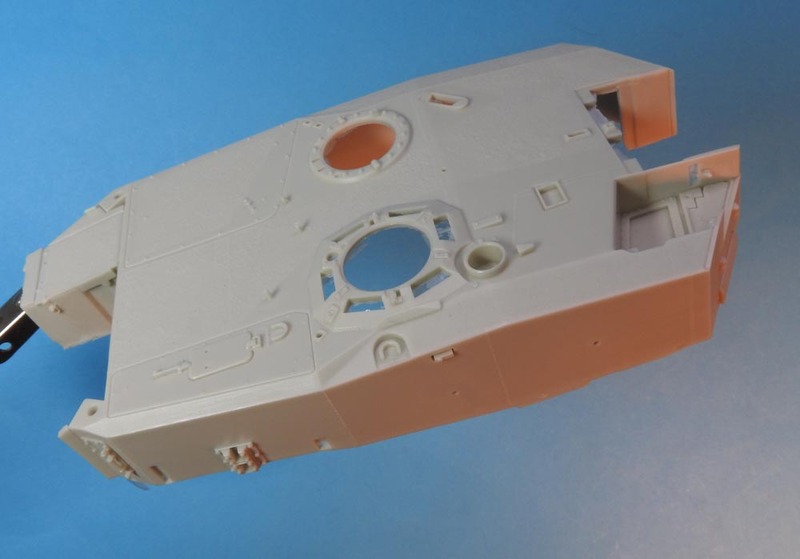 The main reason is the non-slip pattern on the turret roof which is totally different to the German non-slip. 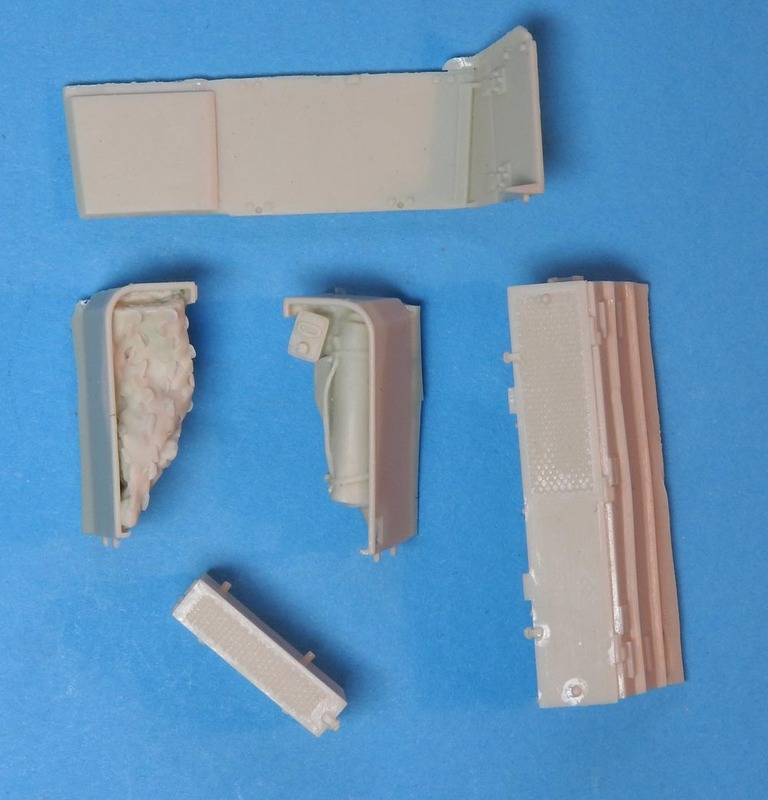 Some time ago I started a Finnish conversion based on the HobbyBoss 2A4 (the only 'good' one available at that time). The colour of the KMT casting makes it difficult to make out the detail in my photograph. 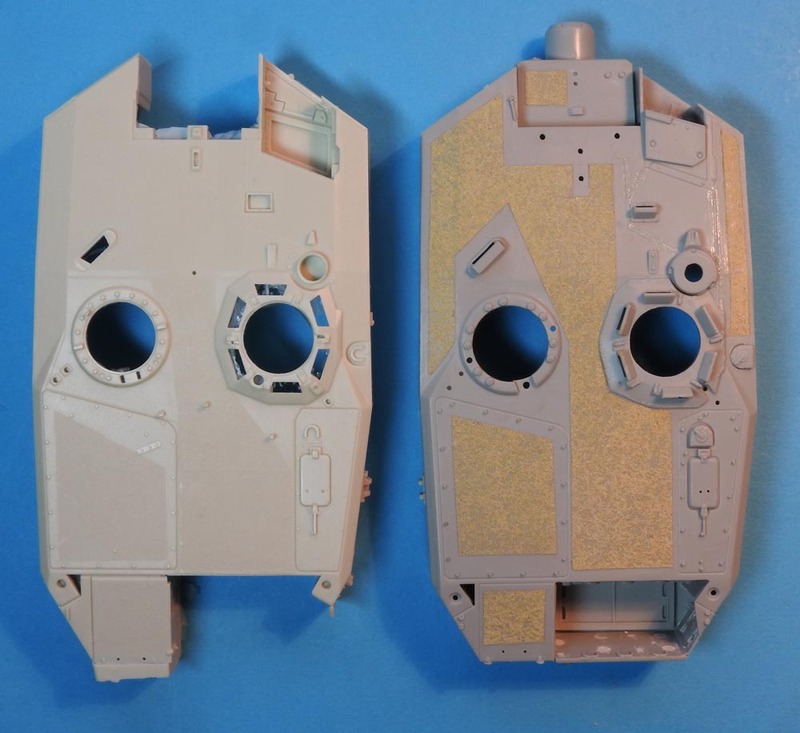 The non-slip pattern on the KMT turret is more accurate than mine, but I think it can be enhanced as the finish, in reality, is very coarse sand. Take a look at this 442-photo walkaround. I used Tamiya Texture Paint (Grit Effect Light Sand) on mine. Just mask and brush it on in light coats to build it up. 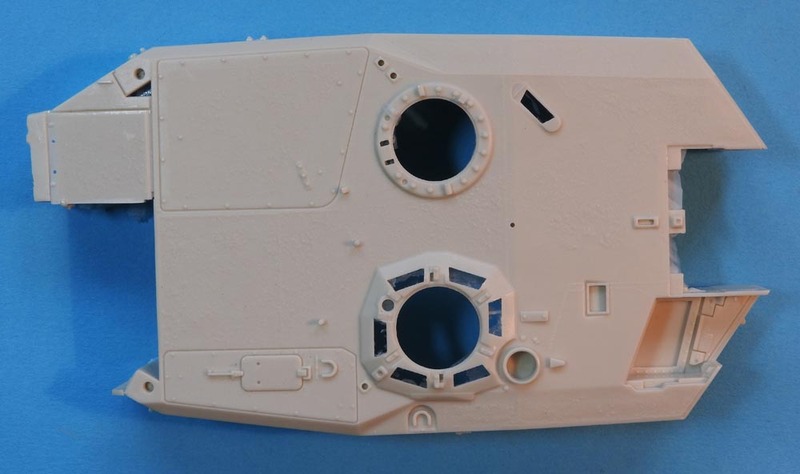 Other modifications to the turret included on the turret casting are hinges for the side turret baskets. 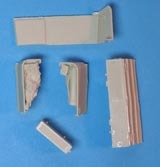 The other major parts for the turret include a new rear plate with good detail on both sides, plus the large stow box that goes across the rear. On each corner is a new turret basket, both of which have stowage inside them, nicely done. In reality, the right-side basket has a fire extinguisher stowed at the front corner, but this is covered over in the kit by a camo net . Like the texture on the turret roof, I feel the gratings on the two turret boxes are a little flat and would be better replaced with some suitable etch. Easy enough to do. In contrast, the gratings on the top edges of the skirts are quite well done! All of the other components from the list above are included in the kit. 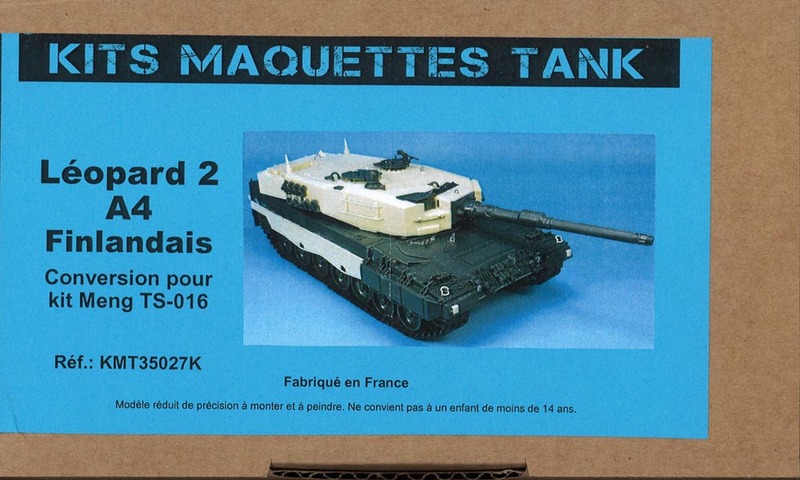 As noted above, most tanks only carry one antenna on the right. The left one is blanked off. Three antenna mounts are supplied. The brush guards on the front indicators are also included, and very delicate they are too. One spare is included. Overall, I really like this kit. I have to admit that the Finnsh finish (I had to say that!!) is one of my favourite 2A4 options and this kit makes it easy. KMT are to be congratulated on a classy production with good detail and good casting quality. An easy and fun option for finishing your Finnish Meng Leopard!! 442 photo walk-around Very thorough walkaround showing everything you need for this conversion 442 photos! !